King Juan Carlos, age 76, has been king of Spain since two days after Dictator Franco's death in 1975. In the 1978 constitution, he gave up all powers except ceremonial ones. 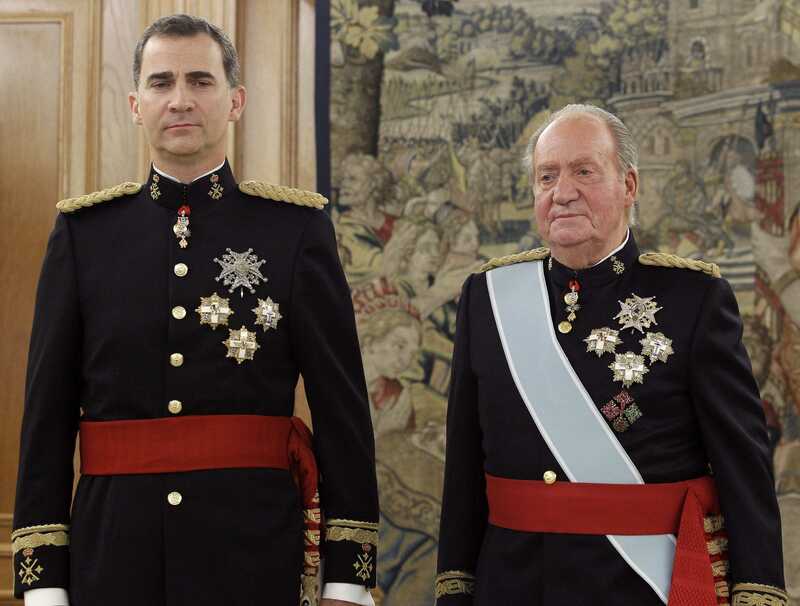 King Juan Carlos's abdication was announced on June 2, 2014. 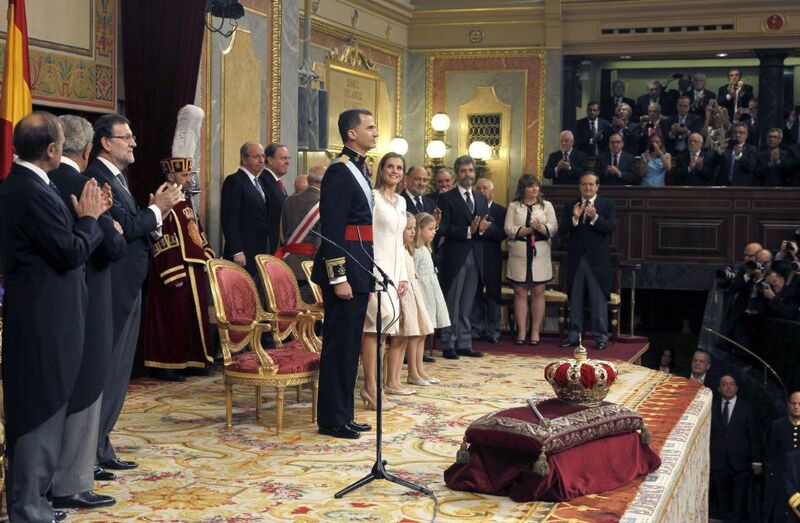 On June 19, 2014, his son Felipe (46) was crowned king of Spain. King Felipe VI is married to Queen Latizia and has two daughters: Leonor (born 2005) and Infanta Sofía (born 2007). What does the king of Spain do? 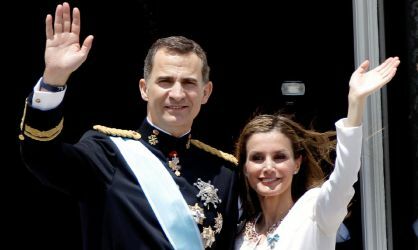 Here are a few news articles to read if you want to learn more about Spain's new king, Felipe VI.